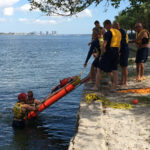 With the variety of waterways, shores, beaches, and purpose-built aquatic facilities available for recreation, these various aquatic areas create a need for different types of aquatic rescue. Swift water rescue training addresses the need for freshwater rescue in streams, rivers, and lakes. Often, these rescues involve different gear, techniques, and methods for reaching a swimmer in distress. 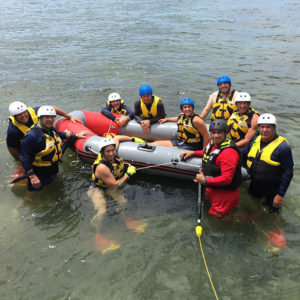 Lifeguard Services provides a comprehensive swift water rescue certification course at the department or facility level. Fire departments, law enforcement, boat captains, medical facilities, beachside resorts, and clubs, each a vital link in the rescue chain, should participate in swift water rescue courses if there is a large amount of recreational water within their respective service areas. 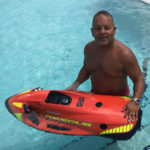 Lifeguard Services supports a nationally certified Swift and Flood Water Lifeguarding Instructor with over 20 years of water safety instruction. Supporting instructors are qualified on First Aid, CPR/AED, oxygen delivery, and aquatic rescue management. Rescue swimmer safety is paramount. Water entry for the rescuer is only advised when all other methods, including (but not limited to) ropes, poles, boats, are exhausted. Having certified Swiftwater rescue technicians on staff makes everyone more aware of the very real dangers with swift water rescue, how to recognize those dangers, and execute a successful water extraction of a victim. 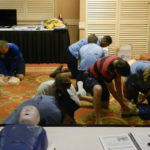 Lifeguard Services provides course lecture supported with hours of hands-on training in swift water rescue techniques. 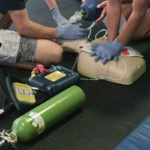 The use of rescue scenarios is a preferred educational tool for building long-term, meaningful memory in Lifeguard Services students. 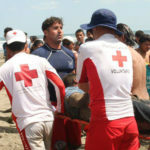 The course covers basic water rescue techniques, a survey of equipment, the proper employment of that equipment, and rescue strategy for water extraction. Evolutions are provided during the course to build confidence in swift water rescue equipment and in your team’s ability to safely and expeditiously provide a swift water rescue. 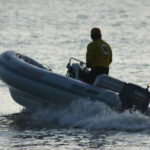 Lifeguard Services’ swift water rescue program isn’t restricted to distressed swimmer rescue. There is always a need for water rescue. The catastrophic flooding was seen in Hurricane Katrina (2005), Hurricane Harvey (2017), and West Virginia (2017) are powerful statements for inland swift water rescue capability. With the West Virginia flood (which killed 20), you don’t need a hurricane for a tragic outcome. 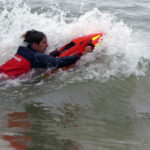 Lifeguard Services provides the training needed for inland municipalities and fire departments to develop an appropriate, affordable swift water rescue capability.